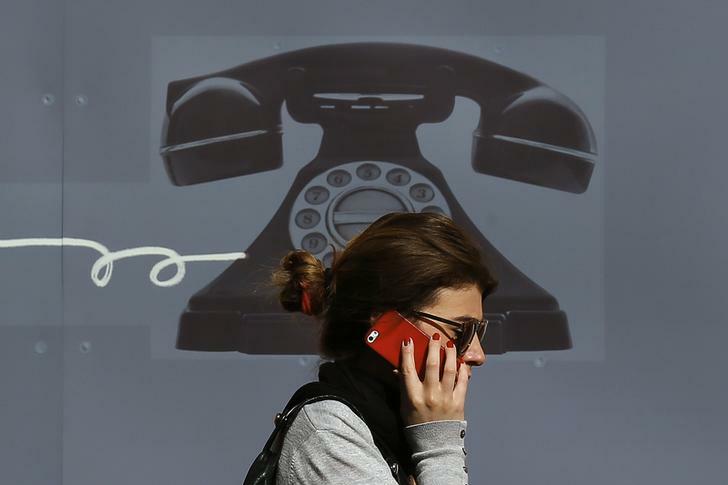 The telecoms-equipment maker plans a 955 mln euro capital increase. CEO Michel Combes has timed this well: his turnaround is beginning to bear fruit; the sector is strengthening; investor sentiment has improved. A stronger balance sheet should help avoid cut-price asset sales. A woman uses her mobile phone in central London September 2, 2013. Verizon Communications was poised on Monday to take full control of its U.S. wireless business with a $130 billion deal to buy out Vodafone and end a decade-long corporate standoff. Alcatel-Lucent launched a 955 million euro capital increase on Nov. 3, and said it planned to sell $750 million of high-yield bonds. It has also secured new bank debt, obtaining a commitment letter for a 500 million euro syndicated revolving credit facility. In a statement on Nov. 4, the telecoms-equipment maker said the capital increase would be priced at 2.10 euros a share. Investors will be offered eight new shares for every 41 existing shares they hold. The subscription period runs from Nov. 19 to Nov. 29. Shares in Alcatel fell 6.4 percent by 0911 GMT to 2.779 euros a share. The stock has leapt since former Vodafone executive Michel Combes took over at the start of April: it closed at 1.051 euros a share the day before Combes became chief executive.